I used to make a point of always finishing a book I started, but then decided that life was too short. The bestselling acknowledged masterpiece that finally decided me that not finishing a book wasn’t an actual sin was One hundred years of solitude (I tried it in French I think) by Gabriel Garcia Marquez. Apparently, some people have the feel for (in my view weird) Latin American stuff. Clearly, I don’t. Since then, I have merrily abandoned several books I just couldn’t get into: Mrs Dalloway by Virginia Woolf, L’île du jour d’avant by Umberto Ecco, … And it’s good fun talking to others about what books they couldn’t get through. Sooner or later, someone will say “What? You didn’t like x? I adored it, it changed my life, best book ever.”I like to keep an open mind, though. I gave Macchiavelli’s The Prince several tries in an English translation and really couldn’t get into it. But I lapped up a French version of it. Possibly, the English translation was a bit dated, or perhaps I needed the French side of me to understand Macchiavelli properly (I don’t mean that by the way). I hated Marguerite Duras’s L’amant, but found La douleur , which I picked up following an enthusiastic recommendation very reluctantly after my first experience, much more to my liking. I hardly gave Mrs Dalloway a chance, I only read a few pages, so am willing to have a go at another Virginia Woolf novel. Any suggestions? Ditto James Joyce. I have already been persuaded that I simply MUST do Proust. Mmmmm, time for another go, maybe? HA! I usually finish most books I read. I too have tried reading One Hundred Years of Solitude and Mrs. Dalloway, but never finished them. There are a couple of ‘classic’ Canadian novels that I just could not get through either. I have given up on Woolf; she’s just not my thing. As for Joyce… I prefer his short stories. Have you given The Dubliners a try? You might like it more than his lengthy, epic novels. I adored The Dubliners! So, any tips on classic Canadian novels I could get through? Read (and loved if that’s the right word) The Handmaid’s Tale but I think I’m lacking in my knowledge of Canadian literature. Seeing as you read English AND French, here are my top five Canadian books (In no particular order). 2) Bonheur d’occasion, le roman urbain de Gabrielle Roy. (Tous ses livres sont excellents. Celui-ci est son meilleur). 3) The Outlander by Gil Adamson (A gorgeous story about a young woman on the run in the Canadian wilderness). 4) Surfacing by Margaret Atwood. A great coming-of-age story. 5) Away by Jane Urquhart. A historic novel that has fable-like elements. I hope you have access to some of these books in your part of the world. They are all well worth the time. Merci ! Je vais commencer par Bonheur d’occasion. For some writers, I find I have to read their lives before I can read their works; others I have to come at through their contemporaries. 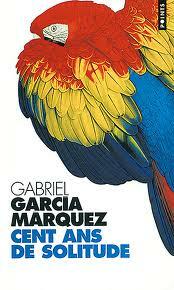 I have also given up on Garcia Marquez, but will steel myself for another go at Ulysses some day. Anyway, have you tried reading Woolf’s nonfiction? I loved A Room of One’s Own years before I read The Waves (my favorite of her books). No, I haven’t read any of Woolf’s nonfiction and I’ve always thought A Room of One’s Own sounded interesting, so I may give it a try.